The EC12 Aluminum Jib Trim Servo bracket is CNC cut to except a standard size jib trim Servo. 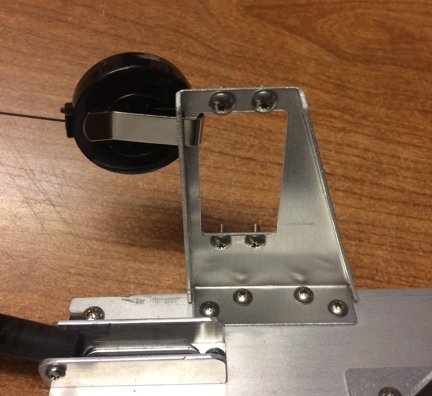 The Bracket is pre-drilled for 4-40 servo screws and the base is drilled for four 4-40 hold down screws. There is a slot cut for the ID holder retractor used to hold tension in on the RMG Control line. This bracket was designed for use with the CPM Radio Board system but can be incorporated into other radio board layouts.